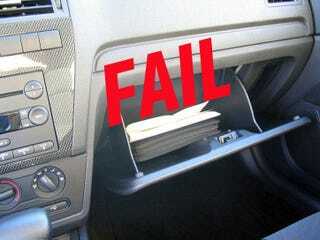 Are Owner's Manuals Still Necessary? As gear-heads we are ingrained that when an issue pops up with our car, we consult the owner's manual. That book that sits lonely in the glove-box only to be used by a select few. My 2010 Mazda3 had a problem the other day, and my owner's manual failed me. So I started to wonder if these books should even exist anymore. I roll into the gas station for an early morning fill up. I roll down the window, turn the car off, and pop the fuel latch while I wait for the attendant (you can't pump your own here in New Jersey). I hand my credit card over and tell him to fill it up with 87. It is a cold and rainy morning, so I decide to roll the windows up while I wait. I click the ignition over into that "accessory mode" that powers your car, but doesn't actually turn the engine on. After the fueling was complete, I throw in the clutch to start the car and be on my way. "That's weird." I thought, maybe it was an issue with the battery. The electronics were only running for a minute or two while the engine was off; it couldn't have drained it that fast. I tried again. Click.Click.Click... and now the steering wheel won't move. I remember some years ago in my first car an anti-theft device involving a locking steering wheel. I turn it left and right while pushing the ignition. Nothing. So I did what most of you would do. I checked the owner's manual. I went to the index to look under "anti-theft" device. It directed me to a few pages that were of no help. Then I looked for the "steering" pages, again nothing. Now I am embarrassed for being stuck at a gas station and I'm running late. I feel like an idiot because I can't start my car. Then I remember that I have a smart phone. I Google "Mazda3 steering stuck won't start." In an instant I got this thread. I put the key in, yank the wheel hard to the right, and the Mazda starts right up. Now I'm sure I could have found the steering-wheel interlock device somewhere in the owner's manual if I looked long enough. But I needed answers and I needed them fast. For this scenario that book was the most inefficient way of solving my problem. When Hyundai debuted the Equus in 2009, everyone made a big deal that your owner's manual is no longer in a book, but in an iPad. If you go to BMW USA's homepage and look-up your owner's manual you will get a series off videos. I'm willing to bet that the vast majority of folks who drive a car that is less than 10 years old, will rarely if ever consult their book for maintenance intervals or troubleshooting. Of course this is exactly what the dealers want, if more people didn't bring their car in for every little thing and if they realized that those 3,000-mile oil change stickers on their window were expensive overkill, that would mean a huge loss for the service department. I'm not advocating that the owner's manual go the way of the dinosaur; after all, there is something to be said by having a hard copy. But I think we need something that is more in-line with the times. Perhaps a searchable PDF, that can be downloaded to any of your devices. Or maybe with all these touchscreens and infotainment units, some damn notifications that actually tell you what is wrong with your car. What say you Jalopnik, should those manuals continue to take up valuable real estate in our glove boxes or should automakers put effort into something else?